Mediafest Part Two explores how the domestic cathode ray tube TV set, video tapes, the CD and the laptop have driven the aesthetics and politics of media arts. Works from preceding decades developed for video and hand built machines, will be interrogated through new performance and live digital commissions on 19 – 20 October, culminating in an Algorave on 27 October for Museums at Night, 2018. For Mediafest we are screening four seminal Vasulka works from the 1970′s – C-trend, Noisefields, Soundsize – and Steina’s groundbreaking performative media project, Violin Power (1970-1978) developed using sound and video synthesisers. Lightborne’s experimental installation explores the objecthood of the projected image, the imagehood of the object, the thinginess of the projection screen, and the spatio-temporal presence of projected light. Combining now antiquated home movie and slide projection screens with contemporary DLP projectors that have been prepared or augmented in various ways, this piece situates digital projection within a long history of the moving, reflected and radiant image, proposing questions about our imagined relationship with the digital image, with virtual and real spaces, analogue and digital media, materiality and intangibility, the important and inconsequential, the singular and the multiple, work and art, blinky lights and loud noises. Please note this installation closes 17:00, 26 October. From the VIVID archive, we have selected workshop documentation exploring the experimental processes pioneered by The Vasulkas and their collaborators in the 1970s-90s. Litter is an audiovisual performance by Matthew Evans and Carol Breen which explores sonification. 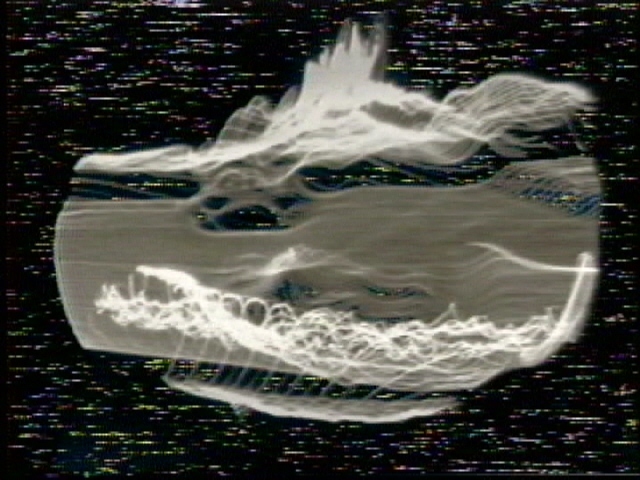 Data from imagery will be used as the catalyst for the creation of sound exploring the image as a sonic stimulant. The performance explores the aesthetics of analog, digital and post-digital imagery. Please note this performance includes flashing lights. Singing Litter is presented as part of Mediafest and has been developed with the assistance of a Black Hole Club Presents bursary. This year Michael released an album of field recordings from cinema projection boxes (Sounds of the Projection Box, Gruenrekorder, 2018). This talk and workshop will explore how his project used phonographic field recording as a means of investigating the sonic environment of the projection box, the work of the projectionist, and the sounds of 35mm film. This work formed part of a larger research project based in the University of Warwick, called The Projection Project, which examined the role of the projectionist, and the history of cinema projection in the UK across the twentieth and twenty-first centuries. Michael will talk about the larger research project, the role of sound recording as a sensory ethnographic methodology and artistic practice within it, and will play some tracks from the album. Participants will get the chance to use induction coil and contact microphones to listen to the hidden sounds of both digital and analogue projectors, as well as CRT and flatscreen televisions. A live manipulation of the system of projectors, screens and sound that makes up Digital Light Processing. Using induction coil microphones the electromagnetic fields produced by the individual projectors are amplified, processed and mixed, while the digital video flowing through the projectors is gradually altered to produce radical shifts and rhythmic patterns of image and sound. Please note this performance includes strobing. In this workshop we will cover everything you need to get up and running with TidalCycles (or just Tidal for short!) – a free and open source platform for live coding musical patterns. Featuring Shelly Knotts, co34pt, Heavy Lifting, Coral, hellocatfood, Sian Macfarlane, jack_mugglestone, Carol, Mike Dring, Echo Juliet. To close the Mediafest Algorave returns to Vivid Projects for a night of live algorithmic techno and algorithmic visuals. Algorave is a combination of “algorithms” and “rave”, the opportunity to dance to alien rhythms and freaky visuals, all created from code before your eyes. The Algorave scene is fast-growing around the world building on its fine roots in electronic music history. MEDIAFEST is curated by Yasmeen Baig-Clifford for Vivid Projects.